When you work in a startup, the wider community of other people who are also working in startups is incredibly important because you need a peer group to hang out with. Lawyers like to hang out with lawyers, doctors like to hang out with other doctors and people who work in tech startups like to hang out and swap war stories. “Are you a Java developer?” The man in a suit at my first startup event in London asked me briskly. “Because I’m looking for a Java developer.” I stumbled and stuttered a little because we hadn’t even finished exchanging pleasantries. He sensed that I wasn’t what he was looking for and turned his back on me sharply to disappear into the throng. I had only just arrived in London and I was used to the casual, and friendly way that people networked after-hours over a beer in New Zealand. The London tech scene was a shock to the system for me because the city is much larger and people are much more focused on their own personal business objectives. But after a while, I began to find my tribe. It took several months of coffees, meetups and missed connections, but eventually the fabric of the London startup ecosystem started to make sense for me. By the time I left London in 2014 I was sad to leave behind so many good friends and a wide network of people that I knew and admired. The turning point in London for me came when I attended my first Silicon Drinkabout. Silicon Drinkabout was a casual Friday night event that was born of a simple idea; “Friday night drinks for startups”. The reason it was so powerful is that it acted as a fulcrum for the entire rest of the tech ecosystem. Regular rhythm of schedule: So that if you miss one event, you know that the next one is coming around soon. This also creates a sense of permanence so that the event becomes something that you can tell other people about and encourage them to attend in the future. Regular crew: The “Three Beards” group acted as the organisers, conveners, and connectors. The three of them always made sure that there was someone to introduce people to each other and make sure the whole thing came together. Design matters: The logos for the events were cool. The startups that got admiration all had well designed sites and the creative designers and UX/UI designers that floated into the community were welcomed. Good typography, good responsive web design and nice layout mattered. Incubators matter: Seedcamp, Innovation Warehouse, TechHub, Techstars and the other flagship co-working spaces all hosted events on a rotating basis. Being in an incubator was seen as a badge of participation in the community. Everyone was either in a startup in one of these spaces or was mentoring a startup that was. Not just founders: The London ecosystem had good participation from employees working in startups as well as from the founders themselves. The interns, marketers, developers and designers were just as respected as the “founder”. Revenue matters: In New Zealand, the community used to value profit, in Silicon Valley the community respected user growth, but in London everyone asked each other about revenue and it created a nice disciplined focus on building things that matter for the end-user and that people were willing to pay for. Don’t pitch me bro: The London tech community was allergic to consultants and recruiters trying to push their services. The service providers regularly sponsored events and contributed services, but they we’re pushy. “Don’t pitch me bro” was literally the name of one of the regular evening events. What goes around comes around: The grapevine would quickly root out anyone that violated the community norms. For example, when an investor started to get far too aggressive about negotiating the terms of an investment (look up reverse vesting), everyone found out about it. Welcoming: Londoners are always willing to try out a new cafe, restaurant or bar. So new events, new groups and new people were embraced with enthusiasm. The scene was still small enough that there was plenty of room for everyone. These values aren’t necessarily perfect, but they made for a tight knit and cohesive startup community that was welcoming of newcomers and supported the creation of new events, groups and businesses. By contrast, I found that New York’s tech scene had a much looser startup community. The community centers more around individual relationships and a few flagship tech events. The main focal point for the New York tech community is the NY Tech Meetup which is a monthly pitching event and attracts hundreds of people. It’s more like a main-hall conference session, but the after-event networking is high quality and worth checking out. Hustle comes first: In New York everyone tries to sell their services to everyone else. And if you can’t articulate your personal and professional value in a short sound-bite, you are quickly ignored. This also makes the scene very open and inclusive, because as long as you can prove you could hustle, you’re in. Cash matters: Wall Street has a very real influence on the tech scene in New York and everyone talks about who is earning what, and the size of the latest funding round. Prestige matters: Which university you went to, which bank you used to work at, which Silicon Valley tech companies your developers are from. The brands, recognition and reputation of who you are surrounded by matters in New York. Only the hungry: The big no-no in the New York tech scene was being lazy, inefficient or slow. If you say “I don’t really care about my job, I’m more into my family and my hobbies” in a conversation in the New York tech scene, the conversation will be over pretty soon. Fitness matters: Pretty much everyone in the tech scene in New York works out. From Soul Cycle to cross-fit and the paleo diet. People are very health conscious. Overall, I found that the New York tech scene was much less tightly knit than London. I think the physical spread of the co-working spaces scattered in distant parts of the city means that there isn’t an easy central geographical focal point. The Silicon Alley neighbourhood doesn’t have a uniquely tech or creative vibe. Also, people that weren’t in the tech scene such as big firm designers and ad agency creatives weren’t really welcomed into the tech scene in the same way as London. The Brooklyn scene in DUMBO is a bit of an exception, with a good overlap of tech and design. But overall the scene in New York was pretty scattered. After four years in London and two years in New York, I recently moved back to New Zealand. So, after only a few months back in the country, what have I discovered about the New Zealand tech community? When I left New Zealand, I was a regular participant in “tweetups” which were meetups before Meetup.com existed. Back when just being on Twitter was enough for you to have something in common. The Icehouse was pretty much the only startup incubator and the tech scene didn’t really exist in a big way. I worry about the focus on “founders”: It’s such an American idea to idolise the founder of a startup as the sole driver. I’m a big believer that everyone in the team contributes. I worry about the power that investors yield: With so few VCs and angels, anyone with some money to invest can call themselves an angel and start doing damage to the ecosystem with wildly inaccurate valuations and advice. I worry about the role of marketing and design: Most Kiwis are naturally cynical about soft skills like marketing and design. But getting the word out there and creating a product that works for end-users is mission critical in a startup. I worry about people who are too-cool-for-school: Once you achieve some success and profile in NZ then two things happen, on the one hand because of the tall-poppy effect you receive a lot of criticism, and that makes you hard. On the other hand, there aren’t that many role models, so suddenly you receive a lot of requests for advice, input and favours all of which drain your time. That also makes you hard as well. 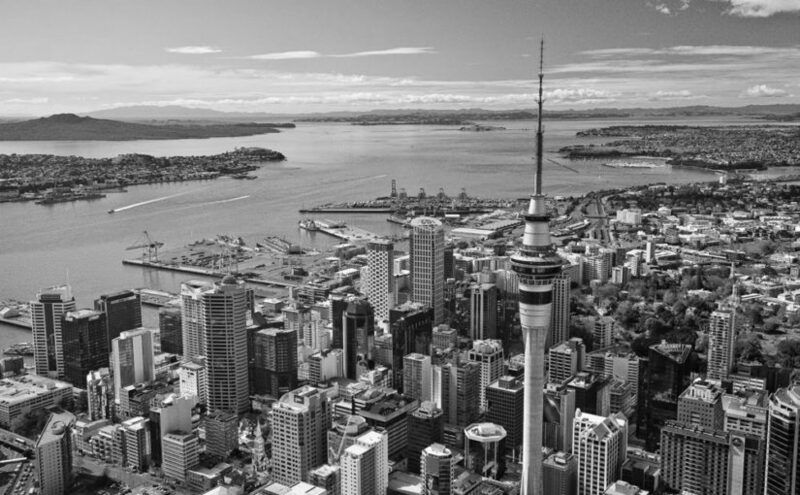 All in all, the rockstars who should be the most important fulcrum connectors in the New Zealand tech scene are notoriously ungenerous with their time and unwilling to help people who are just starting out. I worry about a closed shop: When there are only a small number of events and influential people, then things can get emotional because everyone feels like they are competing for scarce resources such as sponsorship and attendees. I worry about who we will become: Entrepreneurship is the lifeblood of a growing economy and as our large societal institutions and structures increasingly fail us, we will need a thriving startup ecosystem to solve the next big problems in the economy and society. Currently, the lack of role models mean that new startups have to make a lot of the same mistakes over and over again. The startups that we create in New Zealand will be a function of the values that are latent in the startup community ecosystem. Context can be decisive in setting the conditions for ideas, people and businesses to thrive. Overall, I’m cautiously optimistic and excited about the next few years as the NZ ecosystem matures and gels into a connected ecosystem. I have a feeling that I’m not alone in wanting to be part of a wider community that is building something open, transparent, connected, and welcoming. There is a growing conversation in New Zealand about startup community values with people like Dan Khan of Zero Point Ventures, Pascale Hyboud-Peron of Venture Center, Lenz Gschwendtner of Iwantmyname, Colart Miles of Velox Innovation, and Dave Moskovitz of Angel HQ all starting to question what type of communities we want to create. The conversation is building on Twitter with people suggesting things that they want to see in the tech community on #StartupCommunityValues. Awesome article Peter. Really interesting to see the contrasts between London, NY, and what you’ve seen in NZ. Great piece to add to the #startupcommunityvalues discussion. Previous Previous post: Why is building a website so hard?